Honor the contributions of an outstanding member of our College community with a gift to Mark Finney's Scholarship Endowment. In recognition of his selfless spirit and limitless gifts of time and energy to the College, SUNY Cobleskill named Mark Finney its 2018 Outstanding Alumnus at Homecoming and Family Weekend. To help the Mark Finney Scholarship reach endowment level, for a limited time the Alumni Association is matching all gifts to the Mark Finney Scholarship Fund. 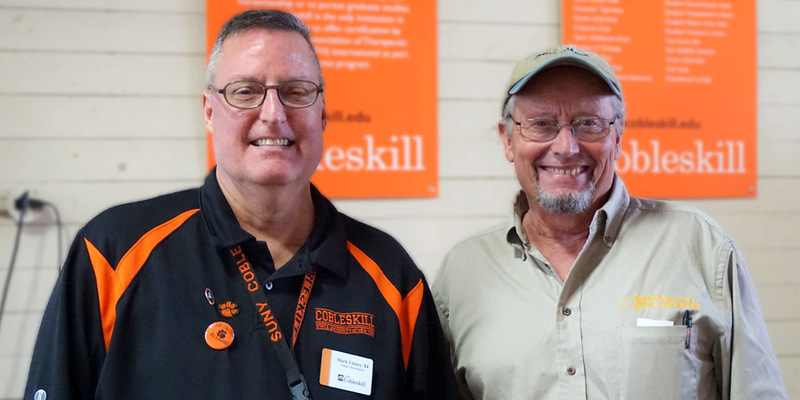 Give today to double your gift, and honor Mark’s timeless contributions to SUNY Cobleskill. In the Scholarship Designation dropdown below, select "Mark Finney Scholarship Endowment" (the list is in alphabetical order by last name). SUNY Cobleskill Foundation is a nonprofit tax-exempt corporation established to promote programs, enhance access and maintain the quality of educational services. Contributions to SUNY Cobleskill Foundation are tax-deductible. A copy of SUNY Cobleskill Foundation's latest Annual Report filed with the Charities Bureau is available upon request from SUNY Cobleskill Office of Advancement or the Office of the New York State Attorney General, The Capitol, Albany, N.Y. 12224.